Choose the rustic and comfortable Baymont Inn and Suites Frisco Lake Dillon on your next ski vacation in the Rockies! This lodging is close to ski resorts, Lake Dillon, the Outlets at Silverthorne, Frisco Bay Marina and trendy downtown Frisco. Walk to frozen yogurt, pizza, subs and Mexican food at local restaurants. 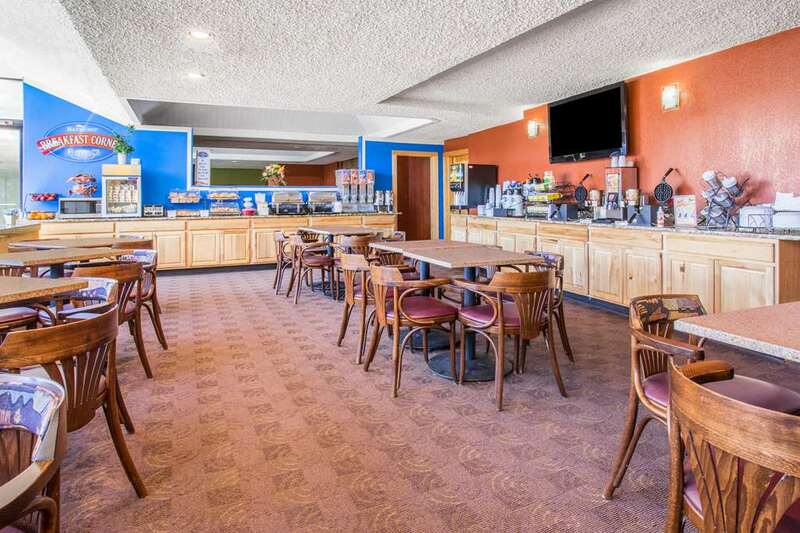 Enjoy onsite amenities like Bar/Restuarunt Pho Bay II, indoor heated pool, hot tub, sun deck, business center, meeting room for up to 90 people, and spacious guest rooms with flat screen TVs. Your room rate also includes hot breakfast at the Baymont Breakfast Corner and wireless Internet access throughout the facility. Park your car, bus, trailer or truck onsite for no additional charge. This lodging welcomes pets in select suites only.